We’d been walking for twenty minutes or so with plenty to see: a wooded garden with a drift of early snowdrops scattered across the grass like confetti, the winter sunshine percolating through the trees creating mosaics of light and shade, running water a constant companion. Then suddenly, something new captured my attention but I couldn’t immediately identify what it was. You know how it is when you hear a fragment of a well-known piece of music but can’t place it; only this wasn’t music. Gradually, though, I became conscious of a low level odour permeating the air by the path. I am sure there had been other smells as we walked, such as rotting leaves and wet mud, but this was entirely unexpected: a sweet, fragrant odour that stopped me in my tracks. It was the day after Christmas and we decided to walk the riverside path linking the village of Uplyme in the far east of Devon to the seaside town of Lyme Regis just across the border in Dorset. This was the most rural section of the walk. One side of the path was bordered by skeletal trees and a damp, woodland bank. Hart’s tongue ferns grew prolifically, their leaves spilling out across the soil, octopus-like. On the other side of the path, the ground fell away steeply to the river Lym below. I bent down to smell the flowers and was greeted by a sweet cloying fragrance that spoke to me of almonds and resurrected distant memories of amaretto liqueur; this was the source of my arresting sensory experience. Although I smelt almonds, it turns out that there is some disagreement about the exact odour of winter heliotrope. Perhaps it is the complexity of the smell; there was indeed an additional hard edge to the `fragrance that I couldn’t place, and some say the flowers smell of almonds, others vanilla, some even licorice and I began to doubt my response. Many people, however, have an entirely different reaction to winter heliotrope, they hate it! They regard the plant as an introduced, invasive thug, taking over landscapes and eliminating native plants like a triffid destroying everything in its path. I share these concerns, but I have to admit to having a soft spot for winter heliotrope. It brightens up the sparse winter landscape and provides welcome forage for early insects. 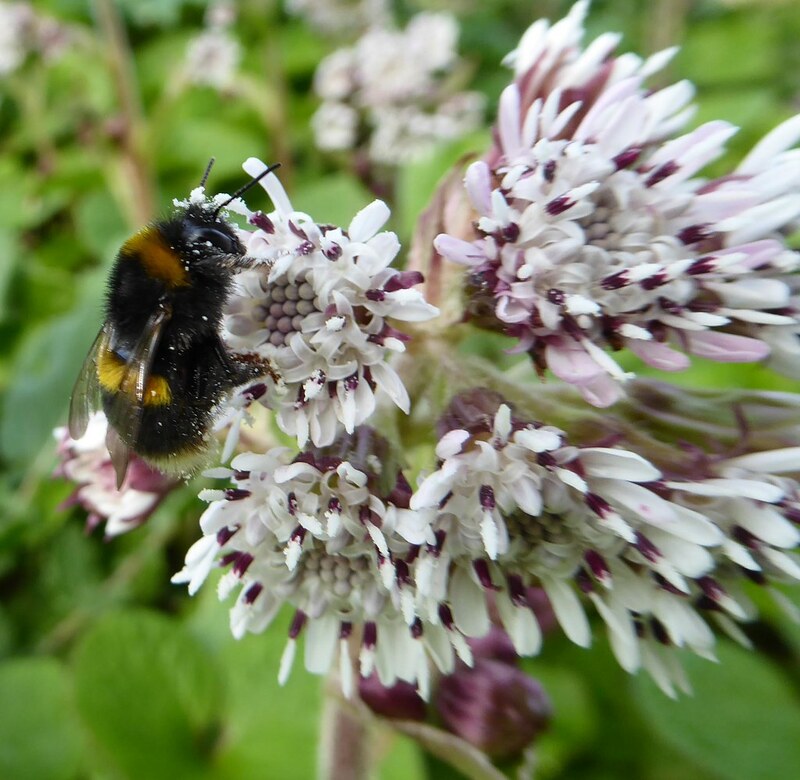 South Devon, with its mild climate, supports colonies of winter bumblebees and they need forage throughout the season. Winter heliotrope provides some of that food and last week I watched winter bumblebees foraging on the flowers above the sea in Torquay. Save The Rhinos: Can We Keep Them From Going Extinct?